Davis design and development capabilities include scale model testing of cold air intakes and hot air uptakes. Find out how Davis can evaluate the performance of your marine gas turbine engine intake or the thermal properties of your gas turbine uptake and exhaust ports. The Davis Hot Gas Wind Tunnel (HGWT) is located on-site at our Ottawa, Canada facility. The main component of our test facility is a 10 MBtu natural gas burner that is fed by a 100 hp centrifugal blower. The HGWT can generate a continuous stream of exhaust gas up to a mass flow of 5 kg/s (11 lbm/s) with a temperature of up to 550°C (1020°F). In addition to the main blower, we have two auxiliary blowers (20hp & 40hp) that can be used to provide a secondary air flow, either to simulate ventilation fan flows in an installation or to simulate ram air (exterior) flows. In situations where a ship’s layout results in an unconventional combustion air intake for the propulsion gas turbines, engine suppliers will normally require a scale model test of the proposed intake system before they will guarantee their engine’s performance. Davis has the equipment and experience necessary to accomplish this type of qualification testing. We have a 1/5 scale instrumented bell mouth for the LM2500 gas turbine engine, and have been identified by General Electric as a qualified facility for performing such tests. Davis’ HGWT facility is ideally suited to performing qualification testing on gas turbine exhaust uptake systems. 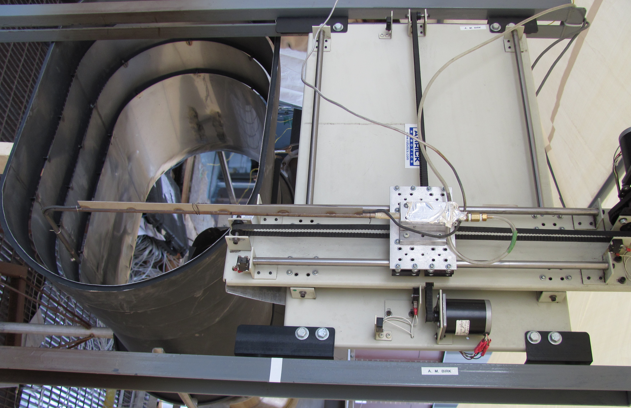 We have a ¼ scale instrumented model of the LM2500 gas turbine exhaust collector, and have been identified by General Electric as a qualified facility for performing such tests. Davis also has experience in designing and building complete exhaust uptake systems for ships. The Davis HGWT is an invaluable tool for our engineers. It allows computer based exhaust designs to be quickly built and tested, and also allows for design optimization to be performed in virtual real-time. 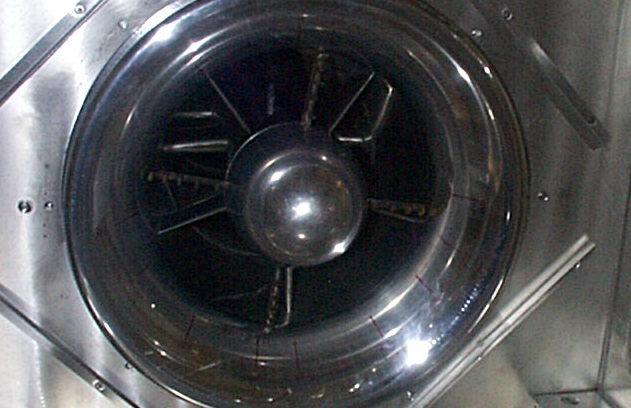 Marine gas turbine and large diesel engine exhausts are normally tested in part scales from ½ to 1/5, and aircraft exhausts are tested in ½ to full scale. Our test engineers employ a variety of test equipment including: thermal imagers, a dual-axis traversing rig, smoke generator, and real-time high speed digital data acquisition systems. The HGWT facility is also frequently used as part of the qualification process for our IR suppression products. Environmental qualification tests such as dust ingestion, fire resistance, and thermal cycling can all be performed on-site, greatly reducing development costs and design cycle times.